Who’s Afraid Of The STRAIGHT WHITE MEN? LA has a theater problem. That should come as no surprise: LA is primarily a music and visual arts city, and it’s hard to compete with the plethora of beautiful museums and concert halls scattered across the map. Anthony Byrnes goes into greater detail about LA’s theater problem in his article for KCRW, but also into possible solutions. He highlights our recent co-presentation of Young Jean Lee’s Theater Company as an example of reaching across the void to connect the city’s theaters. We are co-presenting Lee’s play Straight White Men in collaboration with Center Theatre Group, who also co-commissioned the work. Our director Kristy Edmunds was recently featured alongside Lee on a podcast from Center Theatre Group, with the discussion led by CTG’s associate artistic director Diane Rodriguez. If three intelligent, driven women discussing avant-garde theater, collaborative power, and exchanging silly stories sounds like something you’re into, click here to listen online. Lee recently spoke to the LA Times about the production, describing her creative process and the birth of this production. There is always a subversive element to Lee’s work, and she continues that trajectory by tackling the responsibilities of straight white men as an Asian-American woman. We were thrilled to collaborate with CTG and Young Jean Lee on co-presenting Straight White Men, and not simply because we are always happy to have our name associated with an exciting and provocative event. It’s not the first time we’ve worked with Young Jean Lee—you may remember her cabaret performance WE’RE GONNA DIE in our 2013-2014 season. Lee is doing brave, outspoken work on gender politics and personal identity, and we are proud to support it. But our true excitement stems from working alongside Lee and CTG to bring awareness of the production to an audience that might be unfamiliar with the company. LA’s theater problem isn’t insurmountable. We just all have to be willing to put the strength of the community above the desire to be number one. Straight White Men runs at the Kirk Douglas Theater until December 20th. This week at CAP UCLA we are proud to present two unique programs that explore compelling landscapes in musical theater and dance through the art of monologue. These creative and authentic artists harness the spoken word form in ways that will stir your soul—with Young Jean Lee’s WE’RE GONNA DIE (starting Wednesday) and Jerome Bel’s Cedric Andrieux (Saturdaynight). No, Hemon said. Being a writer, he has belief in words. Words don’t fail, he said. Platitudes do. Empty phrases that don’t instigate connection or communication fail. But thoughtful, reflective words with meaning behind them, those can heal, those can inspire. What you’ll find here at CAP UCLA this week and weekend is a fulsome sense of the power of words, within the context of the art of performance. And you’ll be in great hands. Young Jean Lee is a trailblazing New York theater maker. She comes to Los Angeles for the first time with a profound and acutely realized collection of songs and stories about loneliness, loss and pain, alchemized into a surprisingly uplifting performance that might just leave us more hopeful, more connected, more compassionate and more understanding of our shared human experience. Young Jean Lee recently told LA Weekly that she conceived this work as sort of self-therapy. Saturday night we bring another perspective on the human experience—our inclination to strive for success, for expression, for joy and for creative pursuit. We bring to the Royce Hall stage an incredibly intimate examination of the inspirations and challenges behind the growth and success of one artist—named for and performed by celebrated French dancer Cédric Andrieux. 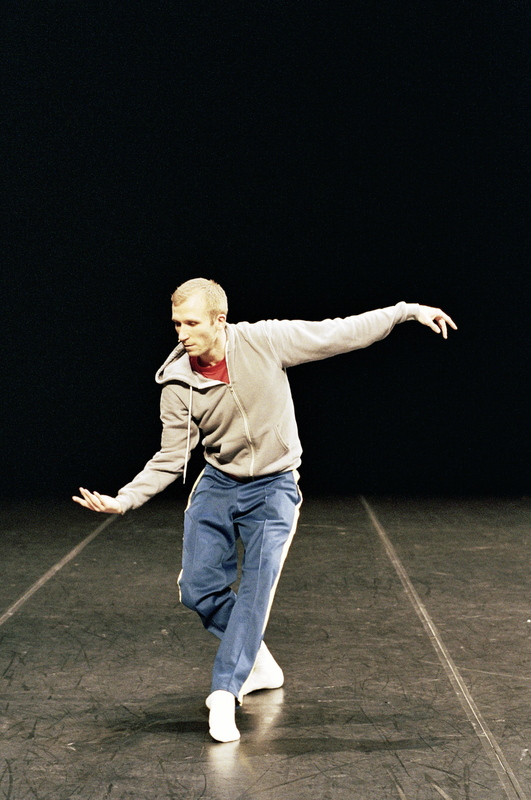 Part spoken word, part solo dance performance, this work by famed French choreographer Jerome Bel, reveals the experiences that propel and compel an artistic life. In a nakedly honest moment on the stage, the former Merce Cunningham company dancer Andrieux tells us the stories of his life, his loves and his frustrations. Andrieux and Bel invite the audience to embrace the role of avid and confidential spectator, not just of one immediate evening of performance, but of one artist’s personal evolution. 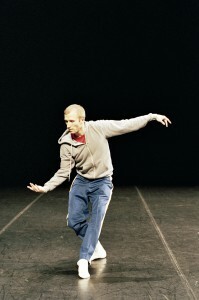 Typically in dance performance, the movement speaks volumes. But in this penetrating performance, the words carry weight and power to build an aesthetic bridge between artist and audience. It’s a rare and magical insight into what goes on behind the curtain and inside the heart and mind of an artist. Working with Jerome on this solo allowed Cedric to do just that–and he quite movingly shares the revelations this process has wrought for him. So, if you also, often consider why you do the things you do, if you ever wonder how to deal with pain and loss, if you are into the kind of thoughtful, reflective moments that might just help us all remember how much more we belong to one another than not, please do join us for Young Jean Lee and Cedric Andrieux this week. That’s what music legend Lou Reed says in this delightfully gushy testimonial about the incredible New York theater artist we are proud to be bringing to Los Angeles for the first time this November. Reed’s not the only Young Jean Lee lover in the artistic world. On August 6, Young Jean Lee and Future Wife release their first album WE’RE GONNA DIE, with original tracks from the theatrical production performed by Young Jean and featuring a truly eclectic mix of modern recording artists including Laurie Anderson, David Byrne, Beastie Boy Adam Horovitz, Arcade Fire’s Sarah Neufeld and Colin Stetson, Drew Daniel and Martin Schmidt of experimental electronic duo Matmos and Kathleen Hanna of Bikini Kill, Le Tigre, and The Julie Ruin. Just this past Monday, Young Jean and Future Wife performed tracks from the forthcoming album at New York City’s Chez Andre at The Standard for a special Annie-O Music Series Performance. Check out the album single at Soundcloud and get a taste of what’s in store when Young Jean Lee Theater Company hits LA in November (Single tickets for all five performances at the Actor’s Gang Theater in Culver City go on sale July 11, by the way). We’re eagerly anticipating Young Jean Lee and Future Wife’s Los Angeles invasion. Until then you’re most welcome to join us in keeping tabs on this truly unique artist who is changing the theater landscape in very exciting ways. Checking out the album when it hits. Get a dose of the Young Jean style by reading a few of her plays in print. Join us for WE’RE GONNA DIE. Let’s get exhilarated and depressed together.